Before I report on 8 April auction portfolio, I would like to refer to comments in previous reports with reference to the success of auction programmes as, “auctions” are judged by too many as sales “under the hammer”. Auction marketing has always gathered all potential buyers – those who can immediately meet the terms of the Auction unconditional sale, those who we can move to that status by auction day, and those who can complete a conditional sale post auction. In reviewing our March auction portfolios, within a 30 day period, 38 properties were submitted for buyer interest. Thirty-two vendors have had an opportunity to sell – either they have signed For Sale & Purchase Agreements or declined written offers that have been presented to them. We continue with six properties to work with buyer interest to attract offers for vendor consideration. So, at the time of writing this report and just 30 days from our first portfolio on 4 March, currently 15.7% of our auction stock for March awaits confirmed buying decisions. 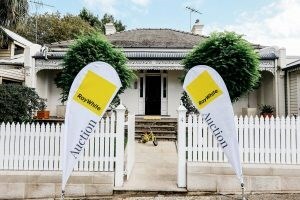 The balance either sold under the hammer, conditionally sold or had negotiations post auction, giving vendors every opportunity to sell within a defined period of time. Therefore, a very positive and encouraging response, with more buyer activity than ill-informed information all too often suggests. There is good buyer activity. Yes, they are largely conservative/ cautious but, nevertheless, we consider that we are achieving very good price results for our vendor clients within a much defined marketing period, acknowledging that our challenge always is to meet vendor price expectations with buyer price expectations. Our 8 April 2019 portfolio comprised properties in Pakuranga, Sunnyhills, Half Moon Bay, Bucklands Beach, Howick, Highland Park, Cockle Bay, Shelly Park, Dannemora, Flat Bush, Beachlands. The Headsail room of the Bucklands Beach Yacht Club, the home of Ray White Auctions again enjoyed a very pleasing attendance, including people who had registered buying interest, those who had expressed conditional buying interest and those who came along to see what is selling and for what price, to give an idea of what is happening very currently in the real estate market. We had identified bidding registrations for nine of the properties. Five sold under the hammer, 4 attracted bidding interest but not to a level that allowed the vendor to make a selling decision at auction, one sold immediately post auction, one received an offer immediately post auction with negotiations continuing. 51 Rodney Street – $800,000 after some 11 bids. We continue to work with the buyers for the balance of the portfolio. The goal of our Auction Marketing Programme is to provide our Vendor clients with an unconditional sale or, after three weeks of marketing there is a base to work with conditional buying interest if unconditional buying interest is not achieved at, or immediately post auction. It is also important to note that some vendors are not always able to accept buyer expectations of price for various reasons. However, auction marketing is a very positive way of testing the market in a defined space of time to determine if the buyers’ price will enable them to make the lifestyle/property change they envisage.